Unexpected expenses often crop up at the most inconvenient of times. 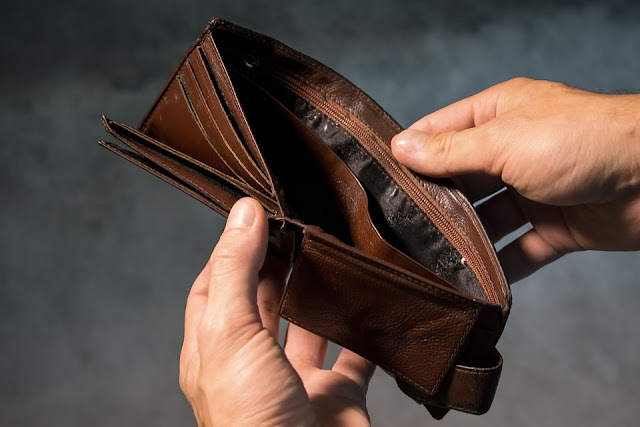 Just when you think you have your finances under control and finally seem to be getting back on track, you are suddenly hit with one of life’s obstacles. Your car won’t start, you lose your job, your boiler system breaks down, or the washing machine gives up the ghost. However, there are a few ways that can help you to cope when something like that crops up. The first thing you need to do is expect the unexpected. We don’t all have the luxury of sailing through life without any mishaps, so it pays to be prepared. Anticipate the fact that you will encounter a couple of times a year when your monthly income will not cover all your outgoings. Many people know that they should have an emergency fund but never get around to setting one up. Set up a standing order from your main account to a savings account and aim to put away around £50-£100 a month. If you set the date for the money to leave your account on the same day as payday, you probably won't even notice that it is missing. And if you save the maximum £100, that’s £1200 saved in a year, which is more than enough to cover the cost of car repairs or a new kitchen appliance. Before you go out spending money that you don’t have, consider whether any of your friends or family may be able to help out. Apart from the fact that you will need to release some of the feelings of stress and panic that you are experiencing, remember that a problem shared really is a problem halved sometimes. For example, if your oven has decided it no longer wants to go on, telling a friend may reveal that they know someone who is selling a replacement on the cheap. Or they could offer to help with meals until you are able to replace the oven yourself. The same applies to a broken-down washing machine – ask if you can do your laundry at a friend or family member’s house – chances are that they will find themselves in a similar situation at some point in the future and you can then repay the favor. It wouldn't be wise to ask to borrow money from friends or family unless you are 100% certain that it won’t put a strain on your relationship. When you use your car to commute to work every day, it can be easy to get caught up in the panic when it breaks down and to go with the first repair service you find. However, it is important to keep a level head when things go wrong. It only takes a few minutes to do a few checks online to see which repair services are local to you and then to get a few quotes together. The same applies if your washing machine breaks down and you have the washing of a family of five to get through. If you come across a particular model that suits your needs, do a quick Google search on the ‘shopping’ tab to see if you can find it cheaper elsewhere. Also, check for any voucher codes that you may be able to apply at the checkout. Taking the time to shop around can be the difference between blowing your whole budget and only using a fraction of your savings to cover the cost. If you have not had the funds or the time to grow an emergency fund, it may be time to consider taking out a loan. There are many lenders out there advertising great rates which will enable you to borrow anything from as little as £1,000 with the ability to pay it back over 24 months. Even if you know you have a bad credit history, there are still lenders such as Everyday Loans who are willing to look at other criteria in the hope that they can help you out. Getting a quote also won’t affect your credit score further as they use different search technology than the high street banks. The added bonus of taking out a loan is that if you are able to make the repayments on time, you will slowly be repairing your bad credit score anyway! Unfortunately, unexpected expenses are a fact of life. We all have to go through them at some point in our lives and some years will be better than others. But by taking a few steps to prepare for them, you can avoid a potential financial disaster. It is better to be safe than sorry, as they say, so be prepared and you’ll sail through. Can't say enough about having an emergency fund, it's sad how many folks don't have even a couple hundred dollars set aside. Loans can get dangerous fast, especially when you need the money quick. Interest rates can be outrageous and you can fall quickly into a debt trap. One other piece of advice - how about throwing a yard sale? Or picking up a side hustle like driving for Uber?